FBI Director Christopher Wray reportedly threatened to resign from his post after being pressured by the Trump administration to fire Deputy Director Andrew McCabe. Axios, citing three sources with direct knowledge of the situation, reported that Wray threatened to leave his position if forced to remove McCabe under growing pressure by Attorney General Jeff Sessions. Sessions was urged by President Trump to put pressure on Wray. Wray was told it would be beneficial to make a "fresh start" within his central team, according to Axios reporting. But on Tuesday afternoon, as President Trump signed new tariffs, he denied that Wray had threatened to resign. Axios, citing a source familiar with the situation, also reported that Sessions had informed White House Counsel Don McGahn of Wray's response to the pressure to fire McCabe, at which point, McGahn told Sessions that the issue was not worth losing the director over. White House Press Secretary Sarah Huckabee Sanders confirmed on Tuesday that both Sessions and Wray were at the White House on Monday. She said this was for "routine meetings" and ignored questions about whether the meeting was at all related to McCabe. As for McCabe, Sanders told reporters on Tuesday, "He's already I think in process of retirement and I don't have anything further on that beyond the President wants Director Wray to make the decisions that he sees fit and sees necessary to run his agency." Wray was brought in to replace fired FBI Director James Comey, whose public departure from the administration and role in the Clinton investigation tainted the Bureau's reputation, according to several tweets by the president himself. 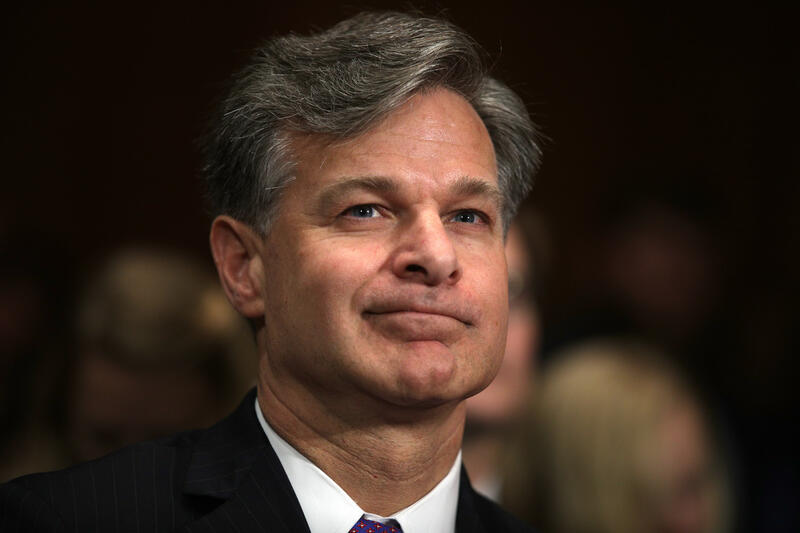 Wray has since defended the FBI's reputation in internal memos to staff and on Capitol Hill. "There is no shortage of opinions out there but what I can tell you is the FBI that I see is tens of thousands of agents and analysts and staff working their tails off keeping Americans safe," said Wray when asked about the president's damning tweet and reapeated calls to "clean house" at the Bureau. McCabe took temporary charge of the FBI after Mr. Trump fired Comey last year, and some skeptics have viewed McCabe as too close to his former boss. CBS News confirmed late last month that McCabe is expected to retire from the FBI by March and has come under considerable scrutiny from Republicans recently, as Special Counsel Robert Mueller's investigation into Russian election meddling and any ties to Trump associates proceeds. Mr. Trump had previously written critical tweets of McCabe, saying he's "racing" to retirement, and he accused McCabe of being swayed by the Clinton campaign during the FBI's investigation into Hillary Clinton use of a private email server. In light of the new report, White House Principal Deputy Press Secretary Raj Shah said in a statement to CBS News on Tuesday, "The president has enormous respect for the thousands of rank-and-file F.B.I. agents who make up the world's most professional and talented law enforcement agency. Shah added, "He believes politically motivated senior leaders, including former Director Comey and others he empowered, have tainted the agency's reputation for unbiased pursuit of justice. The president appointed Chris Wray because he is a man of true character and integrity, and the right choice to clean up the misconduct at the highest levels of the F.B.I. and give the rank and file confidence in their leadership." CBS News' Andres Triay, Jillian Hughes and Emily Tillett contributed to this report.